I have been reading and listening to SO many books and audio books lately, and I have found that I am starting to have a hard time keeping track of things that I've read or want to read. One of the last straws was when I purchased an audiobook on iTunes that I have previously read. I have heard good things about goodreads, which is actually both an app and a website. 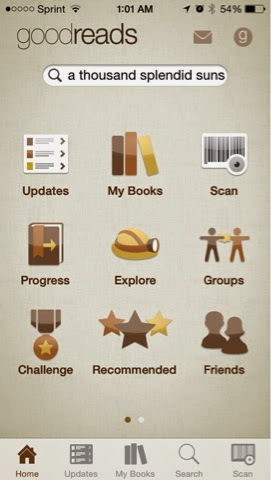 It allows you to create an account and keep track of books you've read, are reading and want to read. It is extremely easy to use. It gives me recommendations based on books that I've read and rated. Turns out that I happen to like historical fiction about the Tudors and WW2. Who knew? I've also challenged myself to finish 20 books this year, and this is helping me keep track--right now I'm at 8. Probably one of my favorite features is the scan tool. You can just take your smartphone into any bookstore and scan books that you might want to add to your "want to read" list. I find this much easier than keeping a paper list, or even a note on my phone. 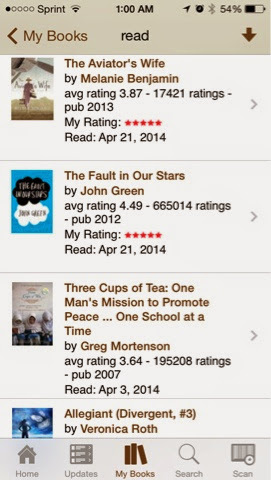 I also like that you can connect with friends to see what they have recently read and how they rate books. I have gotten many suggestions this way. If you are an avid reader (or even if you aren't), I highly suggest starting a goodreads account. It is available as an app on iTunes, which is also super convenient. And if you want to connect with me to see what I'm reading, feel free to search for me as Alexandra Stacey!